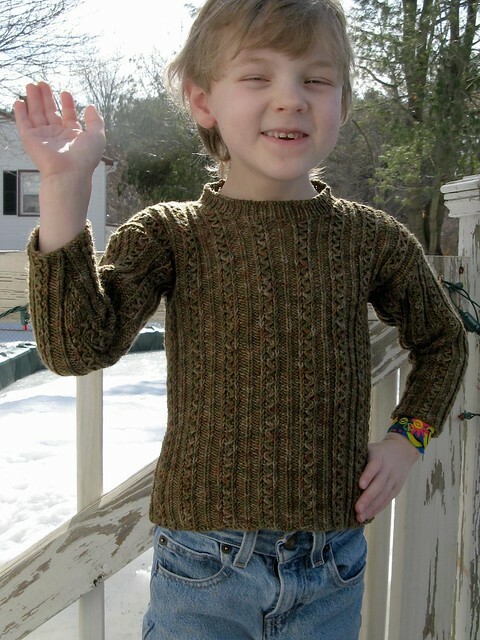 This week I’m featuring another of my pattern sample projects for Plymouth Yarns: a child’s sweater made from DK-weight sock yarn. The professional model is an adorable blond girl … but of course before I sent it out I had to take a home-photo on my slightly-too-large youngest boy — he was cooperative, if slightly silly. Please ignore his desperate need for a haircut! 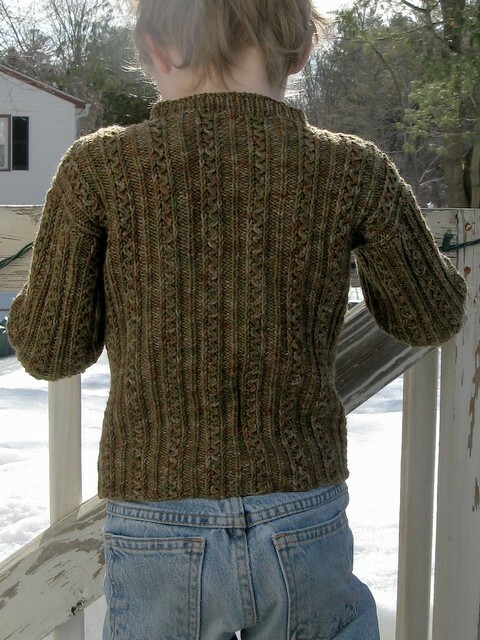 This was a fast & easy project — basic shaping and making-up, and the all-over cabled rib pattern looks great and is fun to knit. I’m a huge fan of Happy Feet DK, but you MUST wash & block a swatch with this yarn — it opens up and softens considerably with washing. 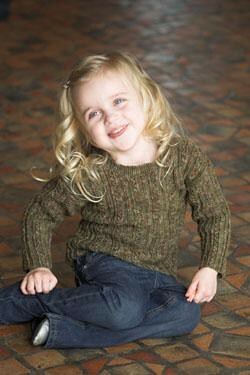 Before washing and blocking the sweater, the fabric was tight and hard — almost crunchy. 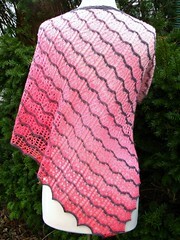 After washing and blocking, it was soft and had a nice give, lovely to touch. Wow! It’s a great looking sweater! Beautiful color and great stitch definition!